We are not sure when the Gingerbread Castle began to have a telephone. If you can figure out when the Castle first got its own telephone, please let the Gingerbread Librarian know so that we can update this entry! 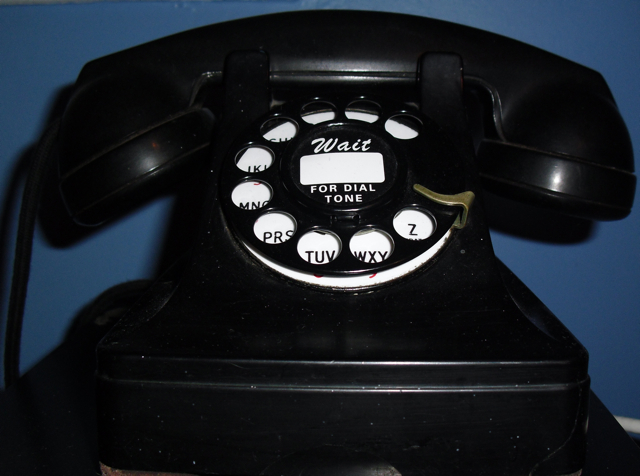 A short history of early telephone innovations in Sussex County can be found at this link. This is a what a phone looked like in 1930. It had a rotary dial to enter the numbers. This is a vintage 1930′s phone, fully restored in 2011, and is used today by the Gingerbread Librarian’s family in New Jersey.